What did the Ancients Know that we are Missing? We are often being told that ancient man knew more about his surroundings than modern man and I would like to explore what this might mean. Could they increase their fertility and that of the land? Whilst hunting, were they able to remotely sense their prey? Were they aware of a Creator or God, or could they ‘read’ portents of the future? Put another way, what are we missing that the ancients knew? And does it matter? 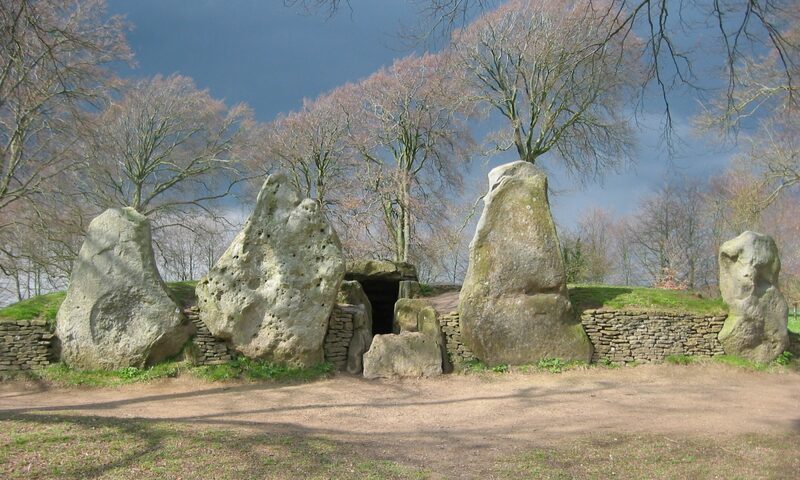 Some of the things the ancients were involved with were mounds, standing stones, stone circles, and geometric patterns. It is still not clear why some of these constructions took place, which reinforces the belief that they had knowledge not known to us today. A common conjecture is that ancient man was in better ‘tune’ with all the subtle energies in nature. I believe these subtle energies do exist and emanate from absolutely everything around us to form a very complex matrix of waves, which impact on our bodies and on our minds. So far, science has not been able to measure these waves, but I think it is only a question of time. A ‘feel’ for these subtle energies would have enabled ancient man to tell whether he was in a neutral, peaceful or potentially harmful area of waves, without the need for dowsing rods. By that I mean that he became aware whether they were doing nothing to his mind (neutral), smoothing or increasing coherence in certain areas (calming, peaceful), or lastly, causing some disruptive interference that could induce, for example, headaches or sickness. Today, these harmful areas or detrimental energy lines are said to cause ‘geopathic stress’ and houses are dowsed for their presence. Assuming that ancient man could sense these effects, he would have been intrigued to try and sort out which areas or events encouraged the ‘good’ and which attracted the ‘bad’. Don’t forget that homo sapiens’ brain was no different 20,000 years ago to what it is today and Stonehenge is only a mere 5000 years old. Ancient man would undoubtedly have had an inquisitive mind. Perhaps one of the first things he would have noticed was that objects like large stones or big trees radiated an aura. This aura could expand or contract depending on where the large object was placed in relationship to other objects. Geometric patterns could be seen to initiate different feelings in people. Crop circles are good examples of geometric patterns. Today, the same person can feel nausea or a feeling of serenity in different parts of the same crop circle, but in other cases, one person feels sick where another feels quite peaceful. This latter case suggests that although similar, our brains may be ‘cross wired’ slightly differently across the left and right halves to produce these different reactions. Labyrinths are also places where people experience different emotions and feelings. Billy Gawn1 has found that shapes with the Golden Proportion of 1:1.618 in them contain less detrimental energy than other triangular shapes or rectangles. He also observed that areas on the ground encompassed by an egg shape contained very little detrimental energy. Such shapes are found in the wooden pole positions for “Stonehenge man’s” dwelling places and stone circles. The inference here is that ancient man would have picked sacred or other special sites due to the ‘feel’ arising from their locality, but enhanced the situation with wooden pillars, stones or stone circles, which if placed over crossing underground streams, would cause the detrimental energy from the ground to be suppressed over a very wide area2. This effectively created areas free from geopathic stress and probably improved fertility. Animals are aware of these ‘good’ and ‘detrimental’ areas. Ciaran Graham has lectured on an area of Fort mounds in Ireland that had a powerful sense of peace and tranquillity. A late calving cow was confined, but upon being released from the barn, she moved rapidly into the peaceful area and promptly delivered her calf3. The cow persisted in keeping the calf in this area. Another case given to me was of a difficult and uneven tempered dog finding a spot for himself in a labyrinth and coming out with a changed temperament after several ‘visits’. Dowsers have reported being able to track other people45, so it is quite probable that ancient man could track both people and animals. Certainly there have been accounts of American Indian and Aborigine trackers who were able to follow their prey without any obvious signs of which way they should go. This, like map dowsing, appears to involve the tracker being able to ‘tune in’ to their prey. Whilst ancient man built sacred places and sites for worship or spiritual rites, I am not aware of any evidence to support their having established a ceremony with ‘love’ at its heart. Much of ancient worship seems (not surprisingly) to have been trying to appease the Gods or invite their intervention to produce good harvests or other benefits for survival. Sacrifices were made to encourage a positive response, which might involve human lives. I find it difficult to believe that the ancients were more in touch with God or the Creator than we are today. Could ancient man foretell or ‘read’ portents of the future? I have no evidence of special powers enabling him to foretell the future any better than we can in the year 2001. Some people today may use their pendulum to tell the future, but I believe the likelihood of success is related to probabilities. It is a bit like a weather forecast. If everything continues according to the current plan, then sunshine will appear next week. But there are so many factors that can upset the probability of the existing plan, that rain may well be the actual outcome. Dowsing may be able to indicate the likely outcome if everything stays on the current course, but any subsequent deviations may well cause a significant change to the predicted outcome. There is evidence that dowsing to alleviate health problems can lead to the dowsers becoming adversely affected themselves. Opening the mind to external subtle energies (as part of the diagnosis or investigation) can potentially offer these energies the ability to affect the dowser’s own mind. Some form of protection is advocated, but such considerations are unlikely to have been of concern to ancient man. He was therefore vulnerable to outside influences and the more sensitive he was, perhaps the greater the potential for disturbance. His ability to get information in an intuitive fashion may therefore have been a ‘two edged sword’ that did not always end up with a happy result. When considering whether ancient man had special powers, it is important to remember that (for the species of homo sapiens), the brain of modern man is exactly the same as it was for ancient man. Whatever he could do, we can do. Or, put the other way round, if he did not have the potential to do it, then we do not either. He had no magical powers that we have lost. He may have been able to identify better with nature and the interconnectedness of everything, but we have only subdued that ability by being part of our rationalist society. The Information Field (or Universal Mind, Cosmic Consciousness, Psi-Field etc) that many believe encompasses the Universe with information waiting to be extracted by ‘tuning in’, is still out there. Over the last 20,000 years a lot of information has gone into it and the number of potential users has expanded dramatically. It may be that religious or spiritual truth is imprinted into it by our Creator and this is what touches our conscience. Whether or not it provides a means of communicating to our Creator is unproved, but there is a certain similarity between the practice in religions of praying to God and dowsers opening up their minds with asking permission, giving thanks, asking questions and making requests to the Information Field. Both can be trying to contact their Creator in their different ways. So, I conclude that we have no need to feel envious of the powers of ancient man. His gifts are our gifts. In future, we may be able to go much further in harnessing our ability to tap into the Information Field to improve our ‘intuition’. But, if ancient man’s start in this art could have been maintained and encouraged, we might well be living in a very different world today. Or would we?